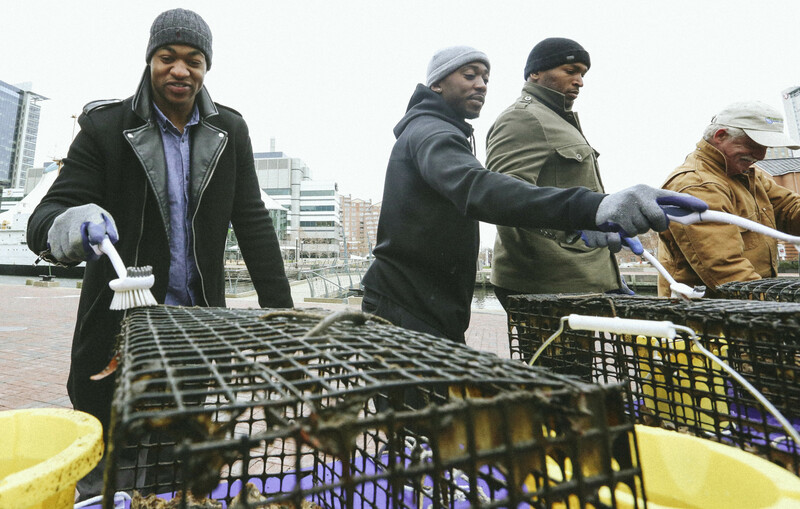 Today a few of the Baltimore Ravens, Eugene Monroe, Tyrod Taylor, and Justin Tucker, came out in support of a cleaner, healthier harbor by helping to clean the oyster cages. The oyster cages house the oysters that are being bred to help filter our water. 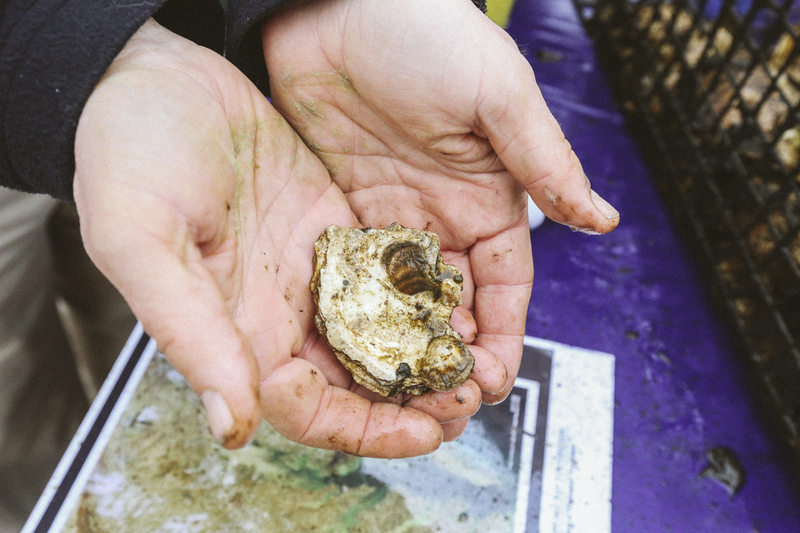 Oysters are natural filters and filling the bay with them will hopefully result in a cleaner environment in a natural way. The cages need to be cleaned as algae and other buildup tends to coat the cages preventing adequate water flow. 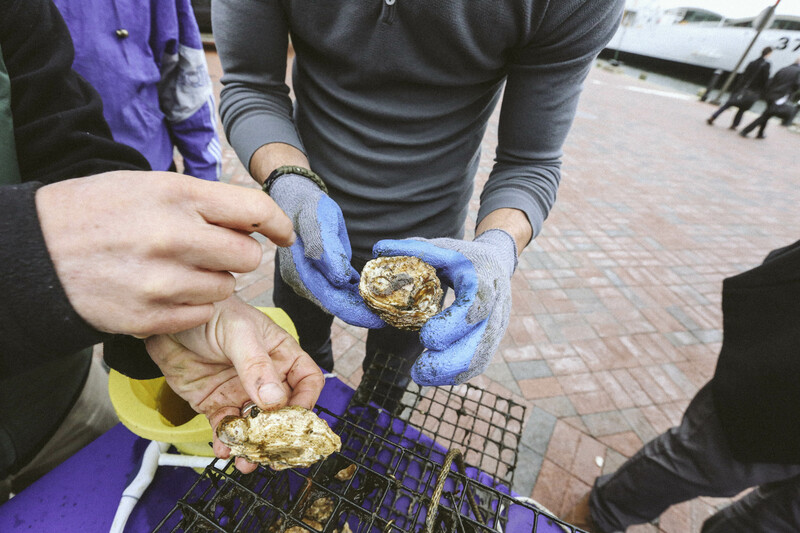 To see a video about the oyster project, please click here. **Ask permission to use photos. Please contact Adam Lindquist at adam@waterfrontpartnership.org. 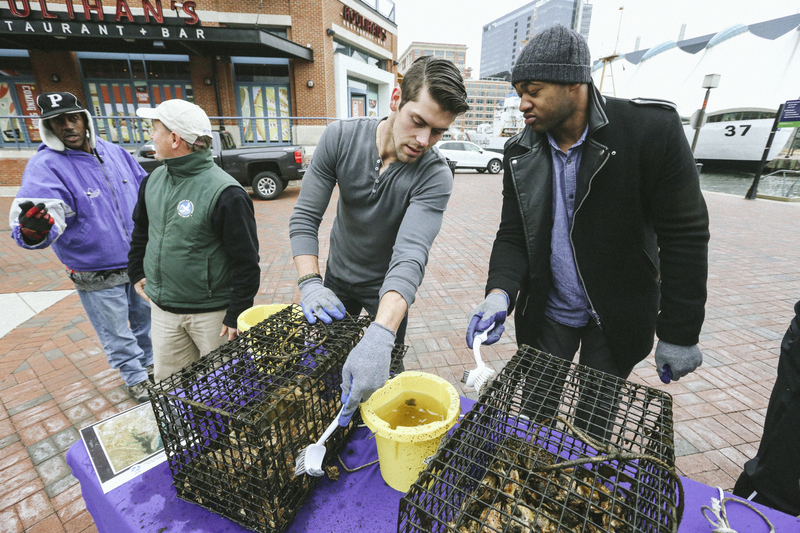 It’s not a secret that our inner harbor here in Baltimore is far from a shining, clear body of water…it’s a downright waste land. I don’t even know how the fish survive. Actually, they don’t. With every passing season and with every huge storm, the trash just keeps piling up creating a suffocating film on top of what should be a healthy habitat. How can we fix this? Yes, we, because you know, it’s OUR trash. We did this and now we need to fix it. 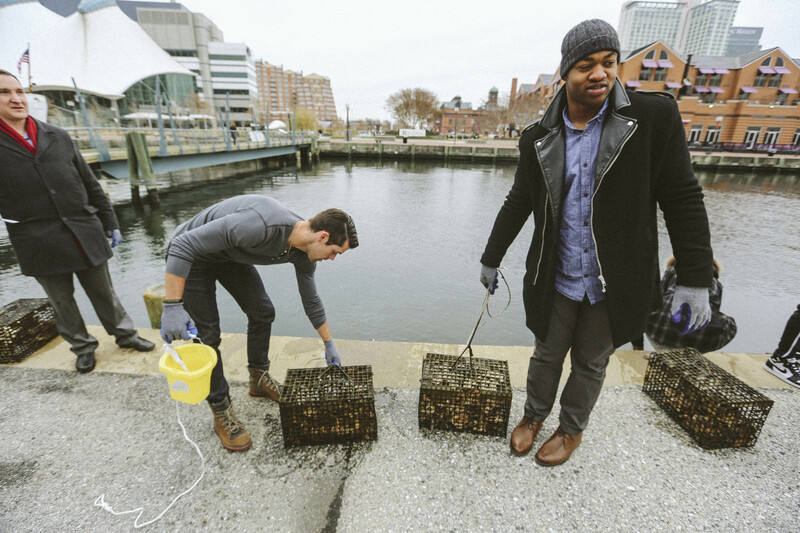 This is where the Waterfront Partnership and the Healthy Harbor Initiative come into play. 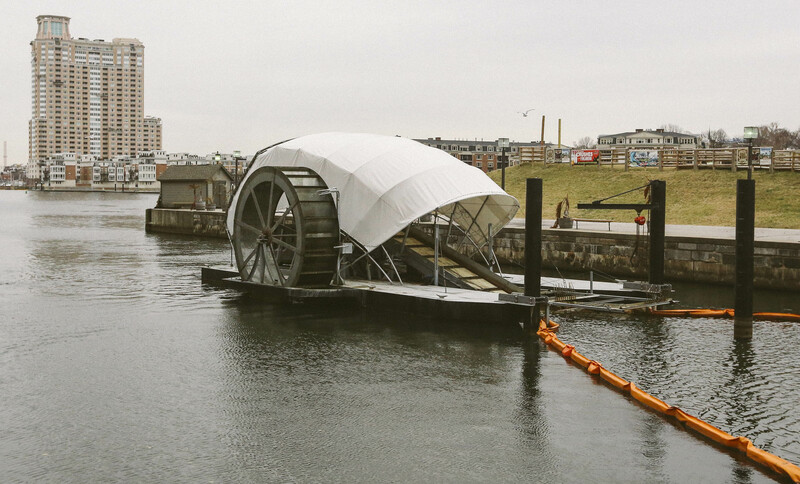 The creation of Mr. Trash Wheel, an invention by John Kellett of Clearwater Mills, LLC, helps us to collect the trash we see floating around. How does it work? 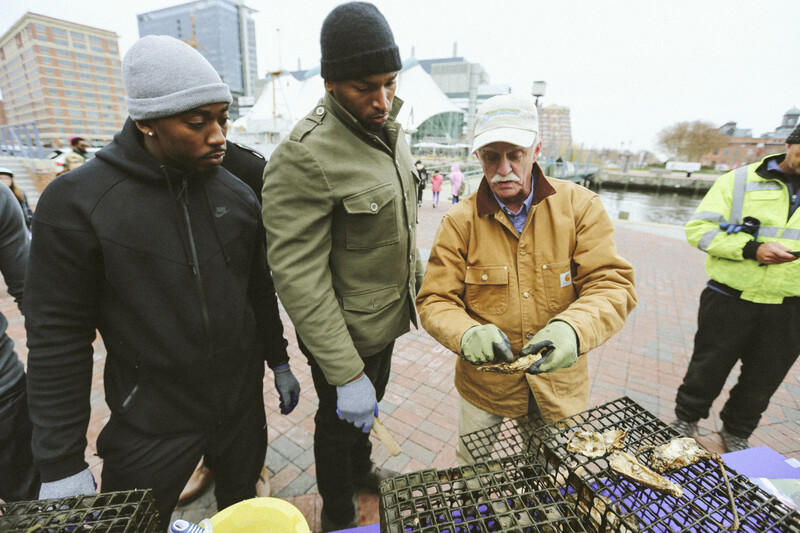 According to the Healthy Harbor Baltimore website…. Sunshine and water currents, two natural occurrences, help us clean up the not so natural occurrences such as plastic bottles, tires, kegs (yes, they found one of those), plastic bags and other harmful wastes. This is how Mr. Trash Wheel works! This is what it has done for our harbor. Out of all of the things Mr. Trash Wheel has picked up, the most interesting was the amount of footballs it acquires. 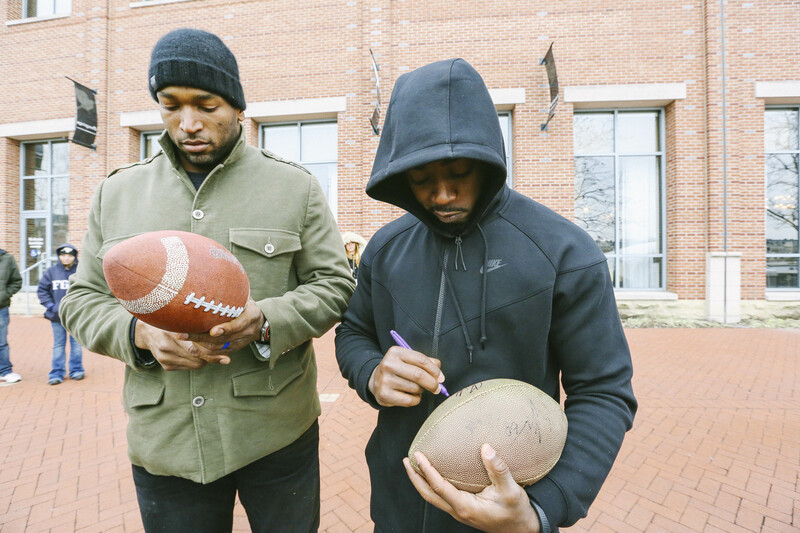 What a better way to shine light on this project than by having the Baltimore Ravens donate their autographs to these rescued footballs in the hopes of using them to further the project. 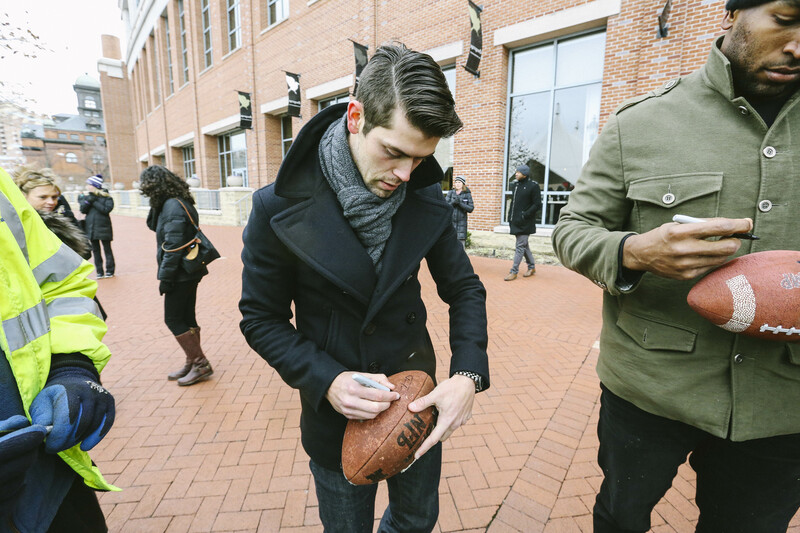 As of right now, the footballs plan to be used towards helping the project move forward. 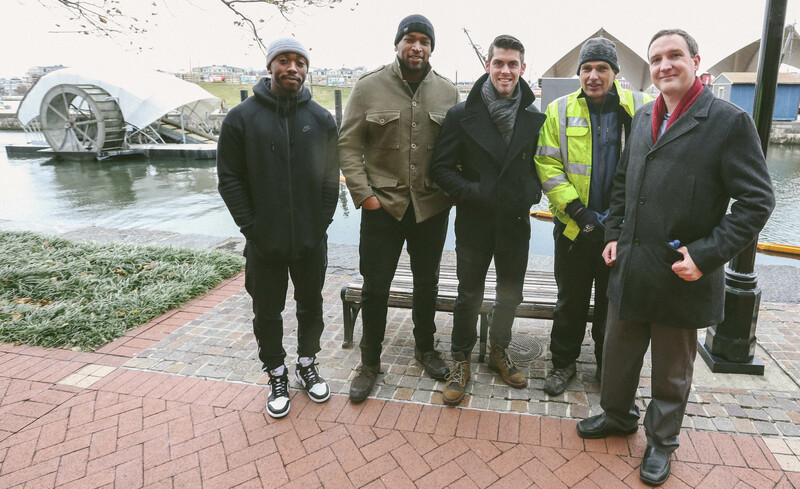 Eugene Monroe, Tyrod Taylor, and Justin Tucker stand with John Kellett, inventor of the wheel and Adam Lindquist, project manager for Healthy Harbor Initiative at Waterfront Partnership of Baltimore. How can you help? EASY! Follow Mr. Trash Wheel on Twitter. Whenever you see some trash, pick it up, throw it away, snap a photo and upload to Twitter with the hashtag, #IamMrTrashWheel. Want to see Mr. Trash Wheel in action? *Disclaimer: While this was a compensated photo assignment, my opinions and support of the Healthy Harbor Initiative and Mr. Trash Wheel are my own. **Ask permission to use photos. Please contact Adam Lindquist at adam@waterfrontpartnership.org. Awesome article! 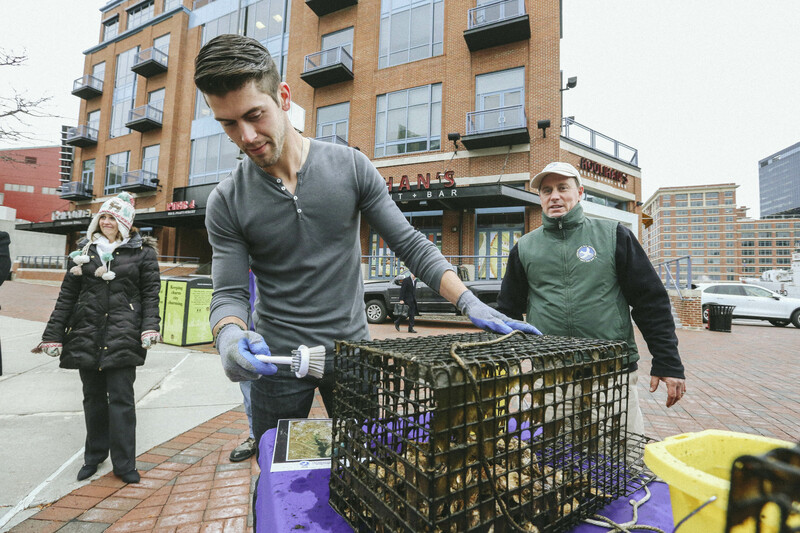 I hope this helps people see how important keeping the trash out of the water is and the significance the wheel plays in helping keep the waters clean and the oyster population intact.